This week, Dr. Edward Mills of Atlanta Center for Restorative Dentistry will kick off Oral Cancer Awareness Month with a discussion on oral cancer and today’s treatment. Dr. Mills is the founder and current director of the Atlanta Institute for Advanced Education, a state-of-the-art educational facility utilized to train professionals through lectures, live demonstrations and Internet educational formats. 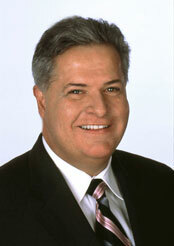 Additionally, he is the current co-director of the Medical College of Georgia’s 390-hour Comprehensive Dental Implant Training Program, considered to be among the top continuing educational programs in dentistry, and director of a three-year hospital-based dental implant residency program at Emory Adventist Hospital. Dr. Mills has lectured extensively throughout the United States and abroad on both the surgical and the prosthetic aspects of Dental Implantology.